It doesn’t matter where you’re moving to or from, typically the entire moving experience is filled with confusion, stress and no clear direction to follow. Below we’ve listed our tips and a few steps for moving out of a rental property so that your experience is a little bit easier. This tip will depend on your individual circumstances, but it’s wise to double or even triple check the notice period. This is the minimum length of time that you’ll have to give notice to your landlord when you’re planning on leaving. Most contracts have a 28-day minimum, so keep this in mind. 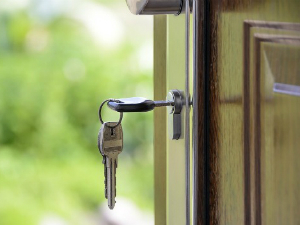 If you’re locked into a fixed-term lease, the rules are processed is a little differently. You can break this contract and end a tenancy if you can show to your local housing association or tribunal that staying in this current residence will result in severe financial hardship. If your lease has more than just your name on it, then you’re technically co-tenants. This means that everyone on the lease has exactly the same responsibility when moving and lease termination is concerned. When you leave your current residence or swap your place with someone else, it’s your responsibility to ensure the new tenant has access to all of the contractual paperwork. This will make the process a lot smoother and will mean you can be released from the lease. Make sure you hand over a tenant transfer form and do not leave or expect to break from the lease before the new tenant has signed and agreed to everything outlined by the Residential Tenancies Bond Authority. Lastly, remember to ensure that your name has been removed from your current lease. This way if anything happens during the time you’re gone, you won’t be held accountable. In arrangements where you’re simply just renting a room from someone who is renting the home also, then you’re classed as a subtenant. This means that you’ll still be required to provide you ‘landlord’ or head tenant plenty of notice before you leave. If you’re leaving before the end of a lease, or against a verbal agreement you’ll need to provide a reason for leaving. Something to remember about your bond, if you’ve never rented before, is that you shouldn’t expect an instant return. If you’ve applied to have your bond returned and you’ve followed all processes correctly, supplied signatures and the RTBA is able to match everything up, you should have your bond back into your account within four to five days. If the bondholder doesn’t have your bank account details, you’ll be provided with the bond in another way. Typically this is via cheque. When you’re vacating a rental home, you need to leave it (essentially) exactly how it was. You should leave nothing of yours in the home, it needs to be cleaned and the owner must be able to able to move forward with renting the home to other renters without issue. Request the assistance of movers, have your rubbish or unwanted furniture taken away by a rubbish removal service like 1300 Rubbish and have a cleaning business come in to do the final clean after you’ve left. This way you’ll keep the entire move as seamless and stress-free as possible and your landlord won’t need to charge cleaning or rubbish removal against your bond. If you do accidentally leave something behind and you’re not able to retrieve it from the premises, your landlord is legally required to hold on to this for a period of time and give you access to it. If you’ve moved interstate or far from your previous rental home, you’ll need to arrange another means of collection. Lastly, reach out to your utility providers and let them know that you’re not going to be at that address any longer. This way you’re not going to be paying for utilities in a home that you’re no longer living in and you’ll be able to move your internet connection a lot faster. At the same time you reach out to disconnect services, also let them know your new residence. This way in a matter of days or even hours you can have your new home connected and ready to go.